The Hallite 601 high-performance, general purpose, single-acting U-ring rod or piston seal is designed to provide a dry sealing solution in light and medium-duty applications and manufactured in Hythane® 181, Hallite’s high-performance polyurethane, for easy installation and excellent low temperature performance. The seal can be considered for use in heavy-duty applications when used with a suitable full depth back-up ring. The sealing lips are trimmed at an angle to give optimal sealing performance. The symmetry of the Hallite 601 makes it ideally suited for single-acting rod or piston applications. 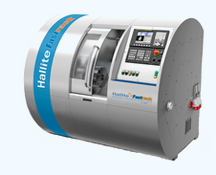 The Hallite 601 can also be fitted back-to-back for use in double-acting applications, but the Hallite 606 single-acting piston seal is the preferred option.